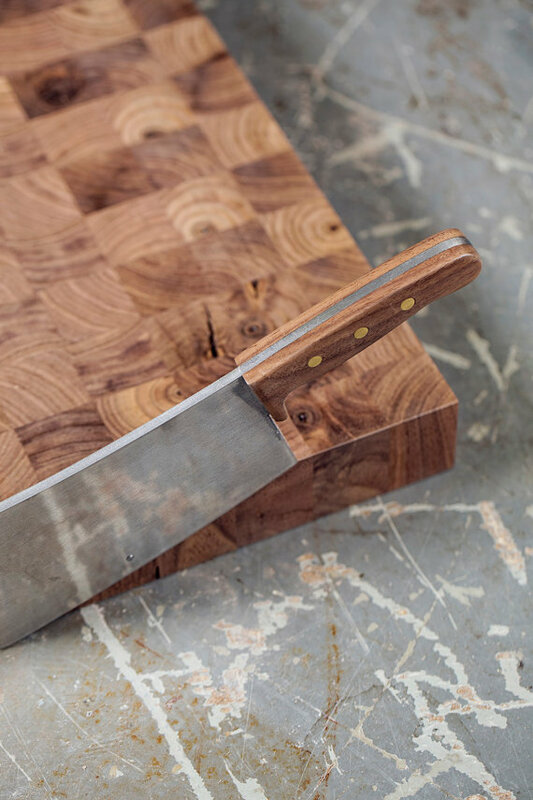 This artisan carving board was crafted out of end grain walnut with handmade cleaver handles. Every aspect of this was hand crafted out of raw materials. From the board itself to the intricate brass hand riveted cleaver style handles.